Let's install Mastodon Client into your DAW! Mastodon client for Music producers and composers. We already supports the latest version of Cakewalk SONAR, Sterinberg Cubase, PreSonus Studio One, Ableton Live, Image-Line FL Studio, MAGIX Samplitude and Cockos Reaper for Windows. Planning VST for Mac and AU also. 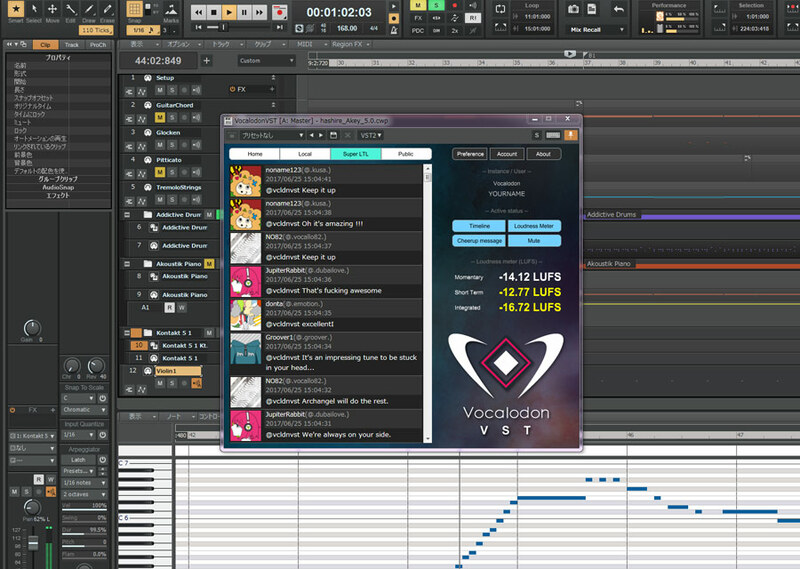 Super LTL: It is unique timeline of Vocalodon VST. This timeline shows mixture of Local timeline and Home timeline. You can read local toots, replies, mentions, boosts and remote-follower's toots on the same timeline. 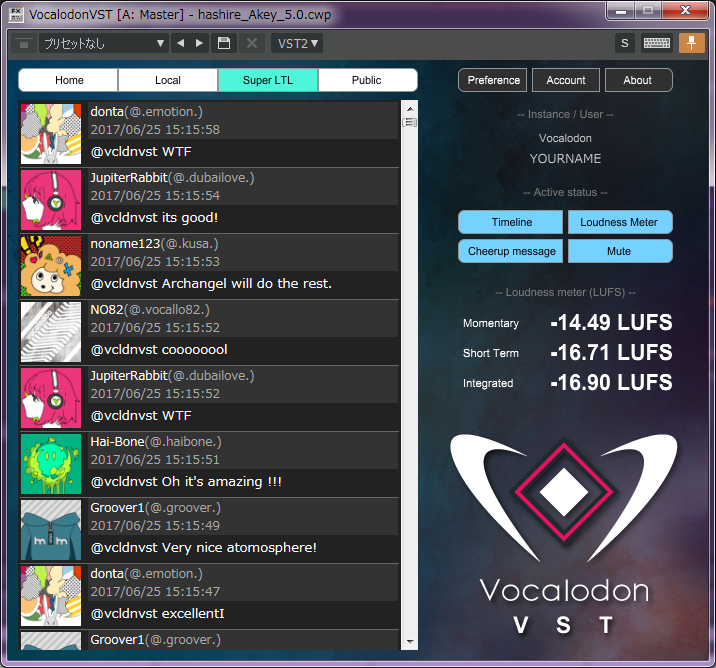 Loudness Meter: Vocalodon VST has 3 Loudness Meters. It masures EBU128 Loudness leven and show you momentary, short-term and integrated LUFS value of the track that you insert it. Cheerup messages: When you play your DAW, Vocalodon VST shows you many virtual toots. These toots cheer you up. Don't worry, these cheer-up toots will not be posted to server.